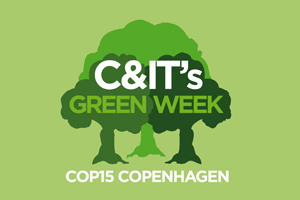 C&IT GREEN WEEK: MCI has spoken of its pride in supporting the United Nations Climate Change Conference in Copenhagen (COP15). MCI was appointed by the Danish Ministry of Foreign Affairs to source, manage and allocate more than 75,000 room nights for the estimated 12,000 delegates attending the conference. MCI Group sustainability director Guy Bigwood said: "It is a proud moment to see MCI working on a project of such importance and meaning. The progress made in organising COP15 sustainably is significant, ambitious and industry-transforming." In addition, MCI helped create the Copenhagen Sustainable Meetings Protocol (CSMP), which is designed to record the planning process of COP15 so that it can be used as an example for future learning. MCI was one of six partners involved in the project, alongside the Ministry of Foreign Affairs, Visit Denmark, Wonderful Copenhagen, Municipality of Copenhagen, MCI and Novo Nordisk.